There’s no problem with capacity at our resort – we can transport up to 3,500 skiers to the top of the hill per hour. Come and enjoy a pleasant skiing experience in a fantastic landscape. During the winter season our lifts are open from 9 a.m. to 4 p.m.
Bobrovec ski lift is a classic ski surface lift. Children's conveyor belt is the ideal place for children to ski on their own for the first time, where learning is fun and you can make fast progress. 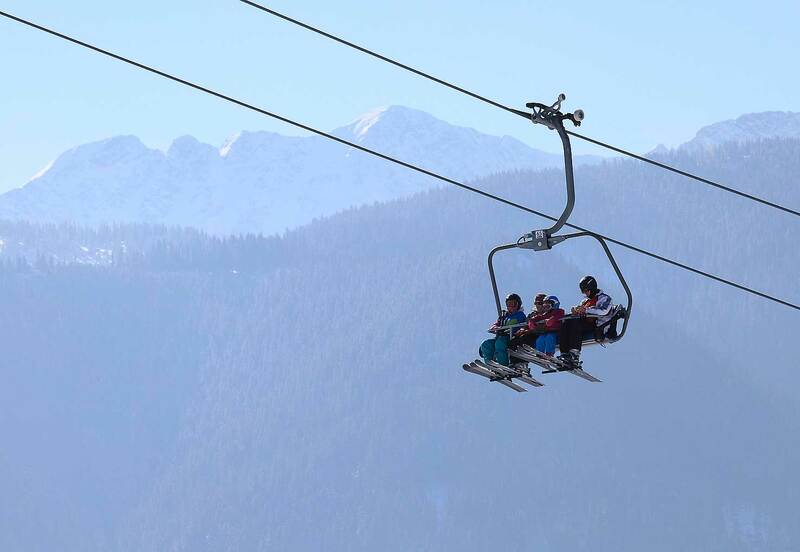 Fast chairlift with detachable bars for easier entry and exit, and heated seats.